Selecting a set of more suitable shoes for a project like Gruppe R can be a tricky task. Getting parts and priorities to jive when building a multipurpose vehicle like a recce car is all about determining applications. Our Golf R is a driver, seeing commuter duties, adventure drives through the countryside, some gravel, and track duties. To serve these roles we knew the wheels and tires would have to be tailor-suited to meet all of our needs. The majority of the spirited driving that Gruppe R will see is going to be on tarmac, and conventional tarmac rally tires do not lend themselves to extended usage, becoming bald after a short stage in an effort to deliver maximum performance over a short drive. Looking to strike a happy medium between longevity and performance, we looked to Toyo Tires’ line of Proxes tires. 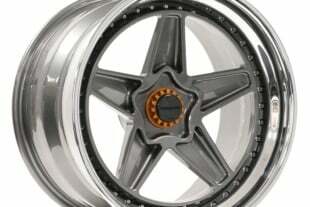 As we have mentioned since the inception of this project, we are not concerned with the aesthetic trend of huge, 19 or 20-inch wheel with short sidewall tires that have no place on this performance project. Handling, road-holding, and compliancy over rough surfaces takes precedence over what might be the norm, because wheel fitment and construction is crucial for a recce car that will encounter bead-crushing holes and bumps. To resolve this concern, we looked to a wheel manufacturer with tenure out on stage, Braid. The Proxes RA1 is part of Toyo’s family of DOT competition tires, standing alongside the R888 and the RR. These R-compound racing tires are sticky even to the touch, yet still retain a DOT certification for street use. With a 100 treadwear rating, these tires are branded similarly to the R888, with a few distinctions and a reputation for long-lived treadlife. The RA1 carcass design features more compliant sidewalls than the RR or R888. Consistency is everything on track, and removing variables makes the learning process easier, both from a driving perspective and a car setup perspective. 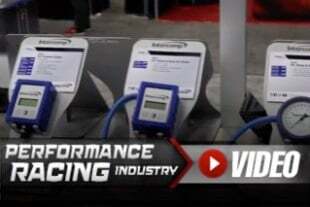 In the dynamic and unpredictable environment of a race track or rally stage the driver is accosted with sensory inputs and changing conditions — when you can trust your tires to maintain a repeatable level of performance across heat cycles and laps you remove one more unknown from the equation. The construction of the RA1 features a stepped tread design, where the parallelogram-shaped tread blocks are layered two-deep for a combined tread depth of a 1/4-inch. The RA1 is suited for both dry and wet racing conditions and can be shaved to suit, depending on the application. Toyo recommends that the full depth of the tread be retained for proper water shedding through the sipes under wet conditions, and the tread be shaved to 1/16-inch for maximized dry traction.The RA1 is constructed on a radial ply foundation, offering a slightly more forgiving and compliant sidewall than the R888 — which suits our application. With its traction rating of AA, the RA1 is in the top three percent of all known tires in terms of braking traction on a wet surface, according to SaferCar.gov. Its heat rating of A translates into better resilience at extended periods of high heat. With a Z speed rating, these tires are approved to perform at the top of the data pool when it comes to speeds greater than 149 mph. The stepped tread-block design gives users wear indication and options for shaving to suit wet or dry situations. Our size of RA1 falls in at 245/45R16, a healthy jump from the stock 225/40R18, while still fitting under the fender wells. We will be able to track the wear of the tires thanks to depth indicators in the outer shoulders as well as conventional wear bars in the tread voids. “For a competition tire, it provides good wear and endurance, making it more cost effective than some lower-priced tires in the segment that need to be replaced more often,” Jones concluded. Because these are R-compound tires, they perform at their best with a little heat —the suggested operating range is from 160 to 220 degrees F. Additionally, the RA1 is optimized to make contact under slight negative camber from -2.5 to -5 degrees — taking into account the alignment tendencies of most track cars. A search for wheels of rally application leads one into a funnel of 15-inch diameter units from a plethora of suppliers, many being cast. Not wanting to limit our brake size too severely, and not feeling constrained by FiA rules, we opted to strike a balance with a 16-inch diameter wheel. After talking to Paul Eddleston of Team Illuminata Motorsport, the U.S. importer of the Spanish Braid wheels and an avid rallycross racer, we knew we wanted to include them in this build. “I feel that Team Illuminata is a grassroots motorsport company, selling products to grassroots motorsport enthusiasts. We only sell products that we’ve used on one of our cars — specialized equipment initially for rallycross guys,” Eddleston pronounced. Braid has the unique ability to offer made-to-order wheels, custom designing nearly any permutation of wheel in its lineup to exacting specifications. After choosing a model, diameter, and width, we then dictated an offset, bolt circle pattern and paint finish before we went to Eddleston to place an order. Knowing that performance aftermarket brakes would become part of the equation, Eddleston provided a cross-section blueprint of the custom wheel to ensure fitment. Braid’s Acropolis wheel is the design most associated with gravel rally, as referenced by the namesake to the famous rally through the rough Greek countryside. However, we also needed to accommodate a big brake package. The Fullrace A is the rallycross-specific wheel offered by Braid, and offers strength where it’s needed for both tarmac and gravel. BRAID's Fullrace A wheels are a Flowcast rallycross version of their racing wheel lineup. “The advanced microwave profile on the inner rim flange was developed by finite element analysis and increases the stiffness of this area, while the work of computer-aided design was used to optimize the spoke design for added strength. The Flowcast technology allows a suitable arrangement of the aluminum alloy structure increasing its mechanical characteristics. This results in a lighter wheel with a much higher capacity to resist deformation from very strong impacts, and avoiding cracks,” states Braid’s website. Flow-form casting is a manufacturing process that falls between gravity casting and forging, borrowing characteristics from each. The process involves pouring a conventional cast center hub, and then applying rotary forming pressure to draw out the barrel and bead. This approach is like combining the ease of manufacturing a gravity cast wheel, with the resilience of a rotary forged aluminum barrel. “The process stretches and compresses the aluminum , increasing tensile strength and resulting in a cast wheel with properties near those found in a forged wheel,” Braid states. To compliment the subdued hues of our German hot hatch, we opted to go with a satin black finish on our Fullrace A wheels, which were complete with iridescent center caps and steel lug seats installed in the pocketed bores. There is always something extra special with tailor-made parts, and seeing a tag noting this hallmarks the occasion. Installing our new wheels and tires on Gruppe R took a slight bit of massaging in terms of clearance. While the front cleared our PowerBrake calipers with ease, the rear stock brakes were a bit of an unknown. We were relieved to find that the wheels would clear and spin freely (just), but lurking behind the rear brakes was a bracket and clip that just touched the inner barrel. After a quick buzz of the pneumatic sanding disc we had fitment. Out on the road the Toyo Proxes RA1s behaved exceptionally. Under cruise the tires’ increased sidewall evidenced some desirable compliancy — absorbing road imperfections like cracks, potholes, and small sharp bumps better than the performance street tires previously adorning the car. The block tread-pattern of the RA1s produced some perceptible road noise over the longitudinally treaded street tires, but nothing offensive. Without a back to back comparison passengers will attribute the hum to engine din. The truly exceptional improvement we noticed on the street was the car’s mid corner rotation. Turn-in was predictable and forgiving (perhaps due to the slightly rounded shoulder design), but mid corner the handling and poise was amplified. As we railed the car through a few windy hillside cuttings it felt as through a gravitational force of traction was drawing the car to the apex. The confidence-inspiring traction through the bends extended to acceleration and braking. Even without a thorough heat-cycle, braking authority and acceleration stability both increased — pushing the ESC and ABS trigger points much further out in the performance envelope. Although the RA1 is not intended to see dirt, it is a track tire, we put a bit of gravel under Gruppe R’s feet and were pleasantly rewarded with some additional cushion from the 16-inch diameter wheels and increased sidewall. The appearance of our recce car in it’s new shoes is one of purposeful aggression. The new, wider footprint looks almost hyperbolic under the little hatch. The section width gain of 20 mm is very noticeable visually and through driver feel. Project Gruppe R continues to make progress as we realize our full vision. Next up, we will tear into the suspension; so look for some custom rally-bred coilovers in the near future. In the meantime, stay tuned for some on-track driving data and impressions of the Toyo RA1 tires. We expect a profound difference in traction at the limit, where this car should be driven.